Ever wondered why your effort in getting media results is not getting the attention it deserves? It could be due to insufficient analysis presented to prove your case. 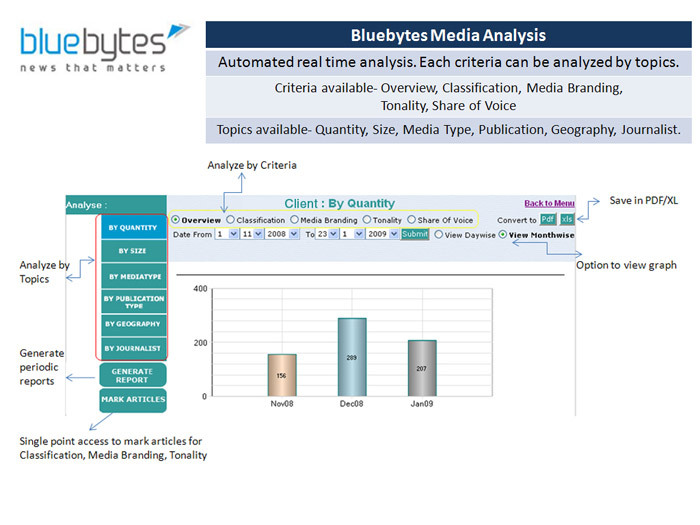 Bluebytes analysis provides great insights and indepth analysis, yet its simplicity is astounding. The automated reports system is a savior for us in the agency. Preparing reports for the management or clients is the most important feedback activity to showcase and update on your effort and achievements. No wonder one spends so much time on it. But what if we reduce that time for you to almost zero? 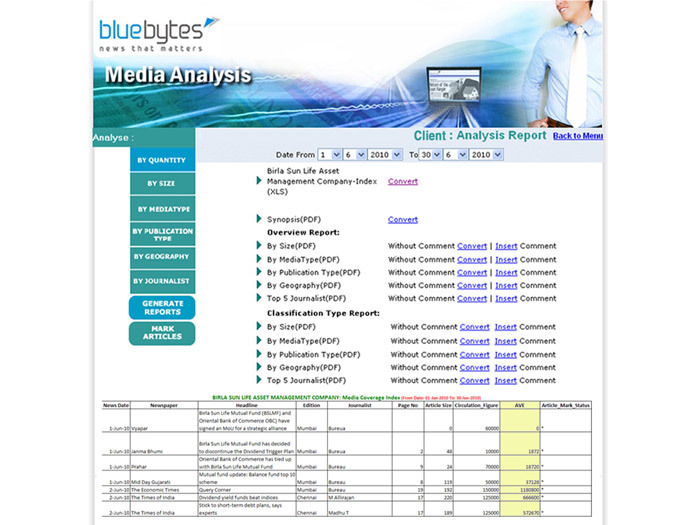 - Chose your own period of creating reports based on events, conferences, etc.